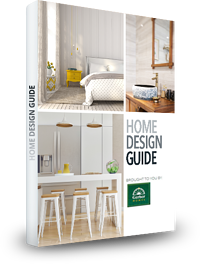 Download Our Free eBook: HOME DESIGN GUIDE! Deciding on your home's floor plan and room design are important when taking that first step to build - or renovate - a house. A house becomes a place you call home only when you're happy with the natural flow from room to room. Everyone's taste is different and it's not easy to keep up with trends and knowing what's available to you today. How we design our home allows us to express our feelings of aesthetic beauty and serve the practical elements of our day-to-day lives. Fill out the form to get instant access to our Guide!